221 is the first of the big Solos into swoops. Thanks to Richard Smith for the excellent photos. Nowt to do with buses, but I tend to find that if my laptop BSoDs after a Windows Update, taking the battery out and refitting it seems to reset the laptop and then I don't have to rollback. The only good thing about Windows Updates is they don't seem to happen quite as often as Android insists on updating the never-used, entirely useless and incredibly memory-hungry, "system" apps on my phone! 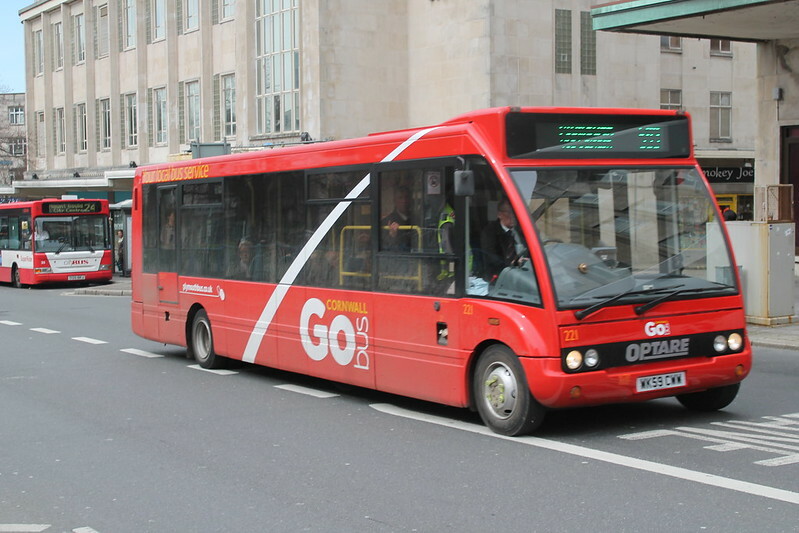 Recent additions to the Citybus fleet, Brighton & Hove Dennis Darts 250 and 251 were both showing Plymouth Citybus on their front body panels at Milehouse tonight. 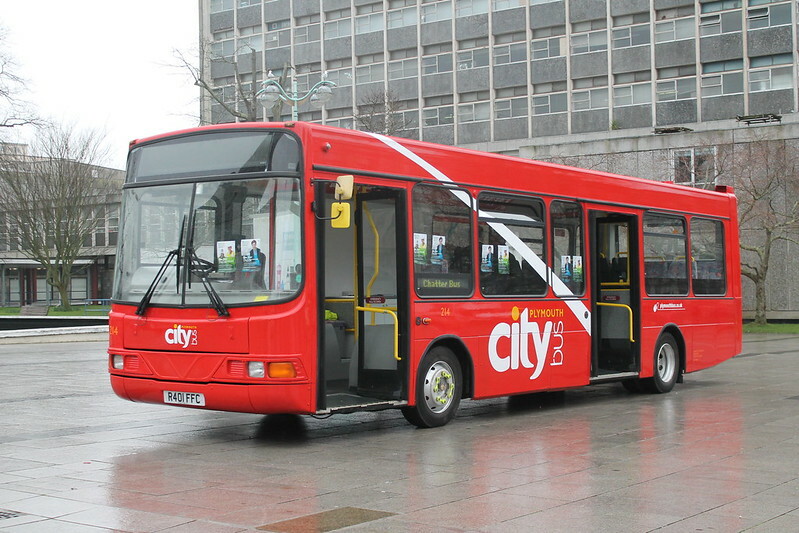 Also 8 ex Brighton Tridents to arrive this week to boost the Citybus fleet. The white stripe on all 3 of these looks terrible. Black lines of the window rubbers fouling it. On 214 it ends right where the exit door is which looks unplanned. On 221 the cab window breaks it up. On 206 it comes off the rear wheel but on 221 it doesn't. Looks cheap and nasty. The previous livery was a lot better with the two different reds. It would have suited these buses better. 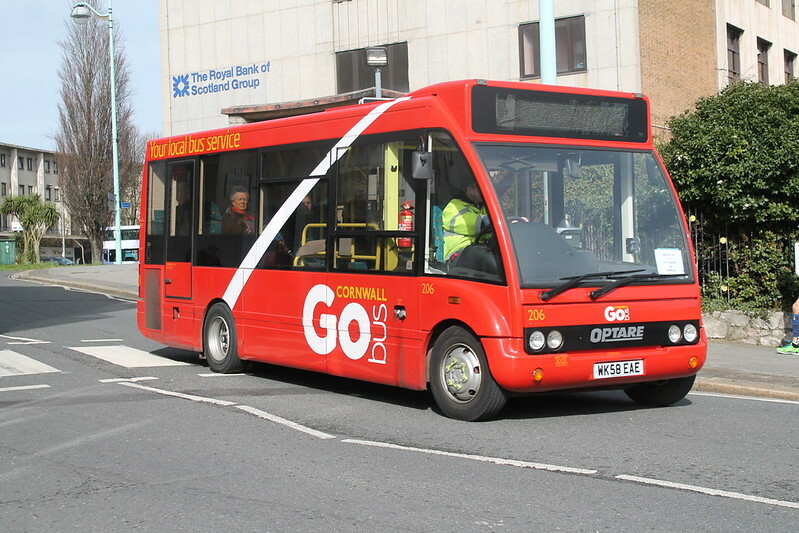 Perhaps Chatterbus 214 is being brought into service with the demise of Western Greyhound?.